Krystal Barter shares her inspiring story on this months Book Circle. The Book Circle: Kate Ceberano, Krystal Barter and Bev Brock. When Krystal Barter was just 25 years old, she had a double mastectomy. She didn’t have cancer but knew it was the right thing to do. You see, Krystal knew she had a gene that gave her an incredibly high chance of getting breast cancer one day. That gene had started with great grandmother and had been passed down to her grandmother, then her mum and eventually to her. 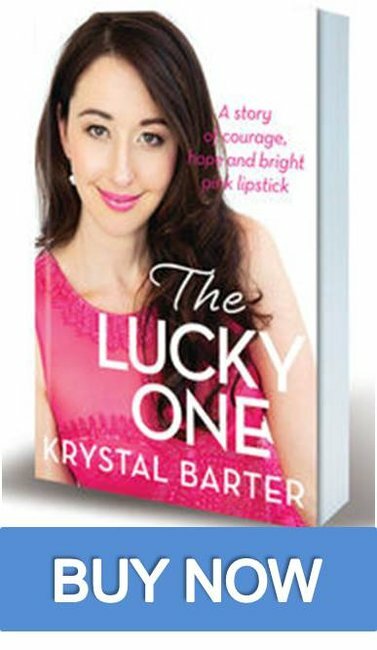 Her victory was starting the Pink Hope Foundation in 2009 from her hospital bed, and now she’s written a book called The Lucky One. 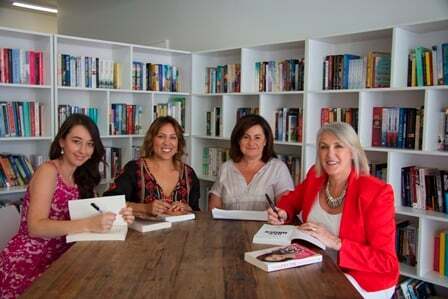 In this video for The Book Circle, Krystal’s talking about her new book alongside Aria award winning singer Kate Ceberano and Peter Brock’s former wife Bev Brock. Each of these women have amazing stories to tell and we can’t wait to get our hands on their stories. This post is brought to you by Big W.
WIN a Big W Book Circle gift pack – with each of this month’s featured books. To enter: Simply comment below telling us which of the books featured on this months Book Circle you are looking forward to reading and why. Please make sure you have provided your correct email when registering a comment – otherwise we won’t be able to contact you if you win. Krystal Barter is an extraordinary young woman: a fighter, a survivor, a wife, a mother and a crusader. She was born with the breast cancer gene, a hereditary curse that has run through generation after generation in her family, claiming at least twenty of her close relatives. But unlike them, Krystal was able to take the BRCA1 gene test, and found out the devastating news that she too was carrying the rogue gene. She had the courage to face her greatest fear, knowing that she could control and change her destiny – and even more courageously, she did. At the age of 25, with her husband and two children beside her, she decided to have a double mastectomy – on national television, no less, so she could inspire others in similar circumstances to do the same. Realising there was nowhere she could find support, Krystal started a unique charity and fund-raising platform called Pink Hope from her hospital bed. Pink Hope is a safe haven and resource for families facing hereditary breast and ovarian cancer. Krystal is dedicated to helping women be informed and supported so they will feel less alone at a crucial time of their lives. From a troubled – and troublesome! – teenager struggling to come to terms with her mother’s illness and the family curse, to a young wife and mother faced with a terrible choice, to a never-say-die woman who has inspired tens of thousands of others, The Lucky One is a story of love, courage and transformation that will move all who read it. You will never forget Krystal Barter and the legacy she is building for her family and the world. 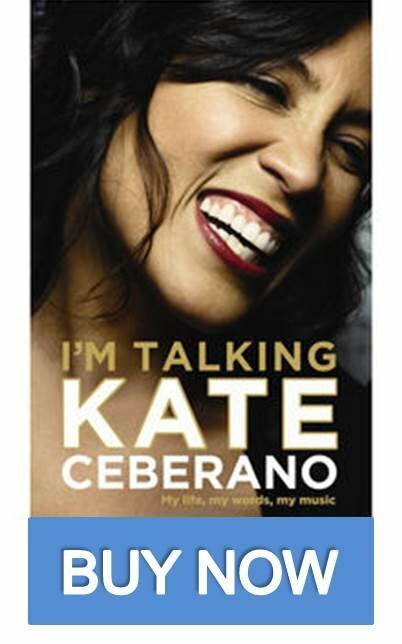 In her own unmistakable voice, Kate Ceberano takes us on a very personal journey from her suburban childhood, her immersion in the Melbourne club scene of the eighties and her rise to stardom at the age of seventeen when she fronted the wildly popular funk band I’m Talking, to the life of a female performer and recording artist in London, Los Angeles and New York. With parallel careers as a pop and jazz singer and songwriter, Kate has received the highest awards in the Australian music industry including the ARIA for Best Female Artist. She has delighted audiences in Harry M. Miller’s hugely successful ‘Jesus Christ Superstar’, won a legion of fans when she won ‘Dancing with the Stars’, and made a triumphant debut for Opera Australia in ‘South Pacific’. Now she reveals, for the first time, just what that was like. People have been talking about Kate Ceberano since she was a teenager: Hugh Jackman described her as having ‘truly one of the great voices this country has produced’; for Rolling Stone she is ‘pure, soulful and powerful’. Now Kate is talking for herself. 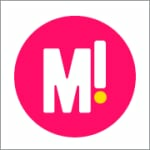 Accompanied by never before published photos. At 22, Bev Brock dived into shallow water and broke her neck. She was told she’d never walk freely again. A few months later she was out dancing in a neck brace, and playing basketball the day the brace came off. Bev Brock does not break easily. 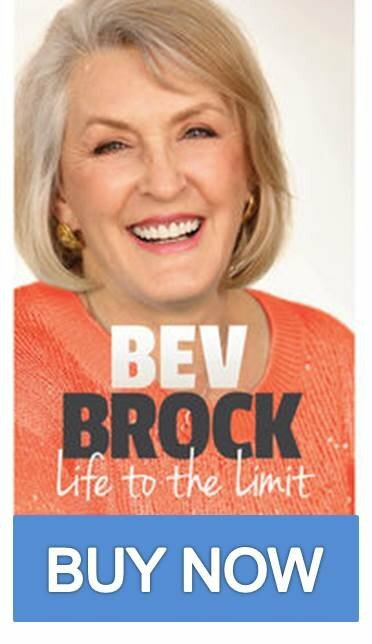 After enduring more than her fair share of ups and downs – including the heartbreaking public separation from racing-car legend Peter Brock, and the messy legal battle that left her flat broke – Bev continues to celebrate life with inimitable wit, warmth, honesty and optimism.